With its beautiful scenery, moderate temperatures and proximity to the ocean, Hilton Head is a popular site for winter vacations. Unfortunately, along with the tourists come Hilton Head winter pests like bed bugs. Do you think bed bug problems are exclusive to dirty, unkempt buildings? You’re not alone, but it’s actually a myth. Bed bugs are equal opportunity pests who make themselves right at home in affluent areas such as Hilton Head. There’s probably a lot more about bed bugs that you don’t know, but should. 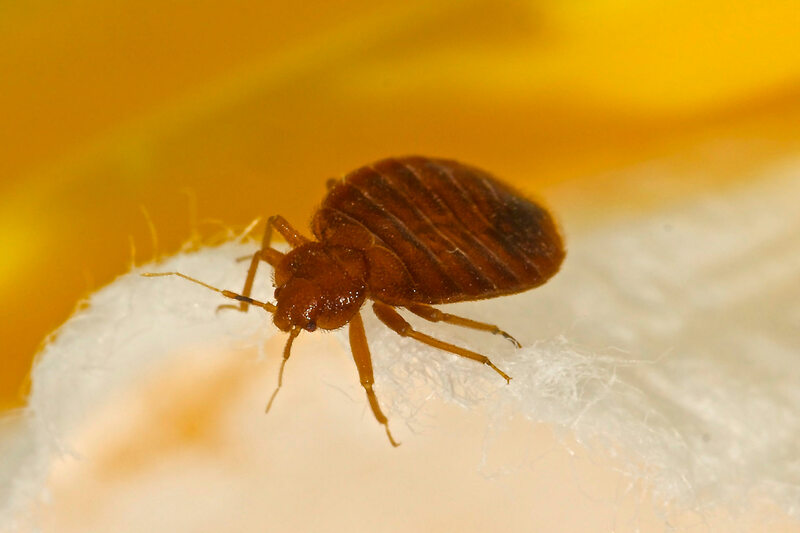 Our Hilton Head SC pest control professionals explain the truth about bed bugs, including why they’re a problem for local hotels and condos and what that means for you. Bed bugs are so called because their favored hiding spots include mattresses, box springs and bedding. If a home becomes heavily infested, they may spread out to furniture, curtains, drawers and wall hangings. Unlike other Hilton Head winter pests such as ants and cockroaches, bed bugs don’t nest, although they do tend to congregate in groups. Thanks to their small size, bed bugs can easily fit into small crevices no wider than a credit card. Adult bed bugs are generally no longer than one-quarter of an inch. Their size, combined with their brown, oval-shaped bodies, gives bed bugs the appearance of apple seeds. While bed bugs can’t fly, adults do have appendages called wing pads. They can move quickly across surfaces, which is one of the reasons bed bugs can remain undetected for long periods of time. – Dark or rust-colored spots on linens, mattresses and walls are one of the more common signs that bed bugs are present. – Bed bug excrement leaves small black dots that “bleed” around the edges. – Clear shells are bed bug exoskeletons, which are shed as immature bed bugs grow larger. There may also be tiny eggs or eggshells. – Blood spots on pillowcases and sheets may be from bed bug bites. Bed bugs are not generally known to transmit diseases, as can happen with other Hilton Head winter pests such as cockroaches, mice and rats. That doesn’t mean bed bugs are harmless. Most pests eat traditional food items, but bed bugs require blood, especially during the growing stages. This is why bed bugs don’t discriminate between clean and dirty areas. Bed bug bites can occur anywhere that skin is exposed. They often appear as a tight line of red bumps that may later change to welts. An anticoagulant is mixed with a bed bug’s saliva, so the severity of reaction to a bite will depend on an individual’s sensitivity. Since bed bugs don’t fly, they depend on things like people and luggage to transport them. Hotels and condos, with their multiple beds, are irresistible places for bed bugs to set up shop. Many of them look for a change of scenery and hop into the luggage of other guests, furthering the spread of these Hilton Head winter pests. As tourists travel to and from Hilton Head, some are accompanied by bed bugs. An online search turns up reports for a number of top local hotels and resorts. With the rise of Airbnb, unsuspecting travelers are now bringing bed bugs into condos and other private residences. Island Pest Control is the only local company using non-toxic in-home treatments to safely and effectively kill bed bugs in all stages, from egg to adult. Contact us to schedule a free 58-point inspection and learn how we can rid your home of bed bugs and other Hilton Head winter pests.